This story is about strong & pure friendship between 2 friends one Boy & Girl. She is like beautiful, sensible & lively girl. He is very smart, intelligent & practical boy. In childhood days, She was like leader, she would do whatever she likes to do. He never stopped her rather always accompanied her. He was like silent observer of her activities. He would spend hours into exploring & learning new things. Just like cute baby their friendship was adorable & innocent. In school days, He was getting more attention because of his intelligence & smartness. She was still the same chirpy and mischievous so she always needed his guidance, support & help in may matters. Whatever may be the topic both always discussed with each other. He had walked every step with her when she was wandering here & there. With every passing year their bond was growing stronger & matured. Both were equally taking their decisions together. In college their friendship took different turn. He became wiser & serious. She felt college days as freedom to explore more. He wanted to achieve all his goal by studying harder. For him, College was only path to follow his dreams, he didn’t want to get distracted. For her, College life comes only once in a life time so she wanted to enjoy each & every moment of it. Both were right in their views & struggling to find proper balance between these two. He wanted to keep himself busy in books & studies. She wanted to be stress free with friends, movie & parties. This conflicts always end into arguments. But even if he is right, many times she ignored him. Their relationship was going through rough patch, but still both were respecting & supporting each other. He was sometimes annoying for her but still every time she will ask for his approval. She was sometimes distraction for him but still he wants to be with her. With him, she felt focussed , supported & stable. With her, he felt valued, appreciated & nurtured. For her , “it’s OK”, “let it be “& “don’t worry “. She was the only reason for his inspiration & confidence. He preferred going by the rule, planned & honest paths. She preferred unplanned, unexpected & shortcut paths. small arguments turned into big fight. She was running from the reality finding solace in solitude. When she was on the verge of breaking down, he pulled her back. From amiable guide he turned into strict trainer. watched her every step, blocked every negative thoughts. Nature, hobbies & loved ones helped her to bring back to normal life. Do what you want to be, Not what others want you to be. This is the story of you, me & everyone in the world. 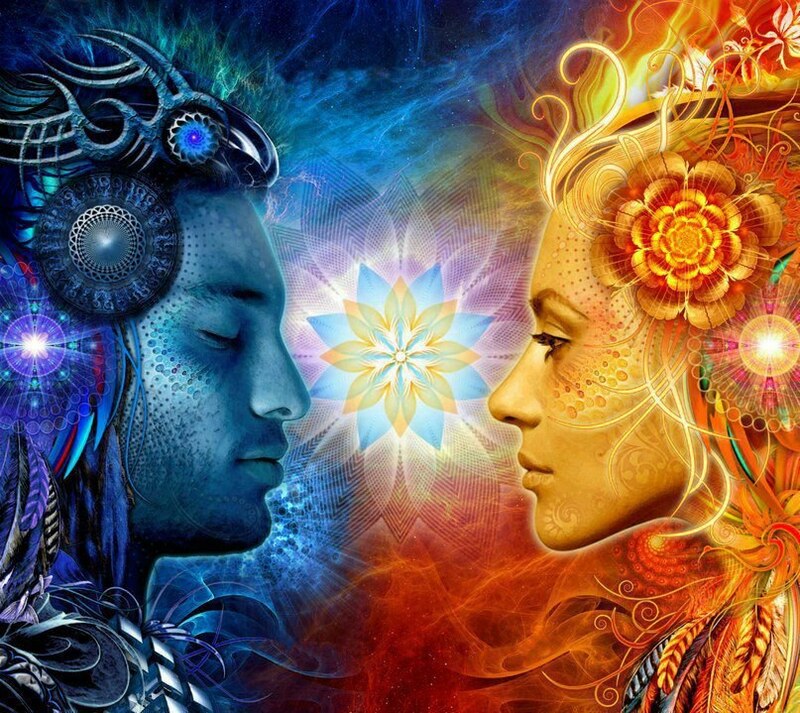 Story of Feminine Energy & Masculine Energy in our body. Regardless of gender, each of us contains both energy. After knowing this, read again I’m sure you can totally relate to it. Logic, planning, facts & discipline are characterized in Masculine Energy. Emotions, intuitions, feelings & openness are governed by the Feminine side. 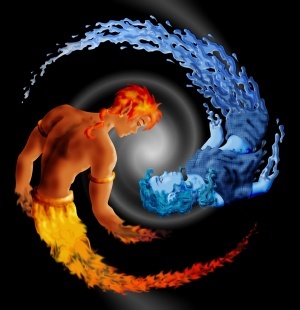 Both are incomplete without each other so maintaining harmony between two is a key to wholeness. Sometimes we are carried away by so many emotional things & we preferred to ignore inner voice who is stopping us . When situation is uncontrolled this soft voice turned into strong, powerful & commanding. Utilize both energy when they are needed, sometimes in life we take decision emotionally or logically. Ha ha thank you bhavna for that comment on my DP. But I think profile pic option are more suitable on FB and insta WP pe to pata bhi nahi chalta..
Great story to drive home the point Bhavana. The perfect balance between the two is very essential ! Thanks Radhika for your insights . Wonderful thoughts of duality in the body. Yes , beautiful & pure. I’m happy that you liked it. Amazing…. beautifully penned! And you have cleverly untangled the intricacies in one’s mind!! That’s so kind of you Nikhita. You made my day!😍. Thanks for your appreciating my little efforts. Btw, I tried to visit your blog by clicking your pic but it always going to WordPress reader stream. I hope you find its solution soon. Thanks for your kind words. That’s great!Looking forward to read your post. Your blog is amazing- keep up the fab work!! Amazing writing .It was worth reading . That is true! Our life is in our hands! It is left to us whether to make it in to a paradise or a hell! We have nominated you for the versatile blogger award !! Such a beautiful friendship Bhavana…really wonderful write up !! Totally in love with the flow of the story. Everyone leaves. Best friends~ either gender they leave and go away. You are just left with your own self. Best friends~ they leave and go away. Saddening. You are left with your own self. Thanks for sharing your valuable insights. Have a great day dear. Woww have no words !! Thank you for kind visit & thoughtful comment. Have a good day. what a beautiful post ,enjoyed reading it! It is indeed a very thoughtful post. I never thought about it like today I do after reading your post. Thanks Neha. Glad you enjoyed the read! Be your own friend…The title was different from the story as it progressed with friendship bet a boy and a girl. But the ending was a twist.This was such an interesting read combining both the energies masculine and feminine. Glad you enjoyed the read. Thanks Jeni for your thoughtful words. I appreciate you stopping by coffee girl😍. Have a great day! Beautifully penned! I could somewhere relate this to me. But to be honest, great story! Thank you for sharing, loved this creative this piece!